Happy Friday, everyone. It’s time for the latest installment of Check Out Your Cards, our blog post where I meet with a member of our COMC team and find out more about some interesting cards that they’ve seen while on the job. This week I’m switching it up a bit, and sitting down with myself to go over some cool cards that I remember from my time in the shipping department. 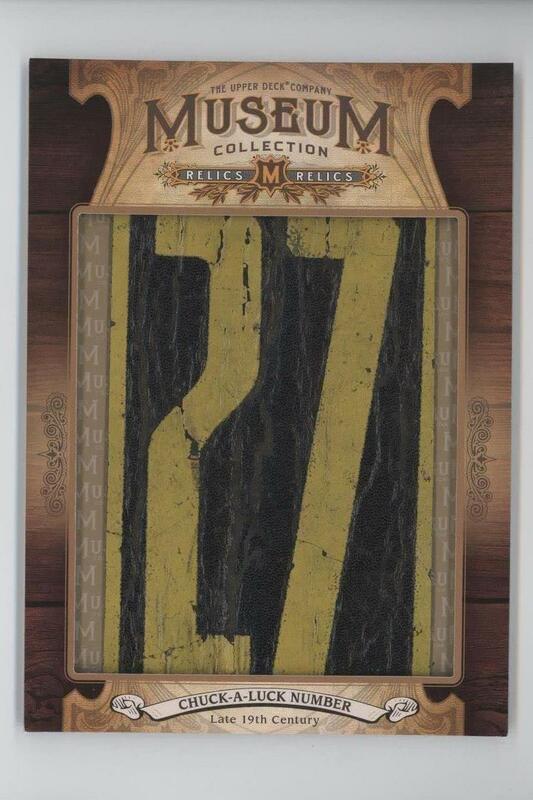 Today I showcase some non-sport items from Topps American Pie, Upper Deck, and Topps Allen & Ginter. This card is one of the first truly weird cards I remember from my time in shipping. After the first few hundred baseball, basketball, football, and hockey cards, I remember this one jumping out at me. Regardless of its historical relevance, I am completely astounded by the simple fact that there are cards with bits of earth in them that people collect. It’s wonderful what people will put inside a card. 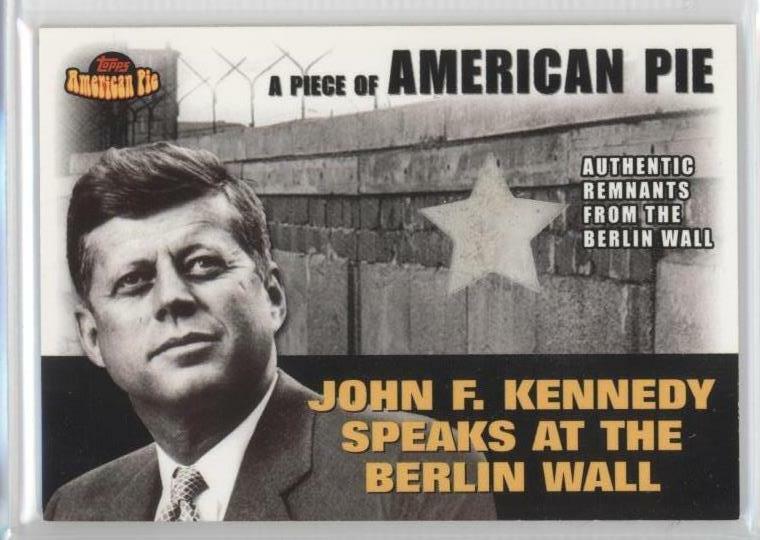 Contained in this small piece of printed cardboard are authentic remnants from the Berlin Wall. Seeing a card like this makes me fully appreciate the amazing things we have stored in our warehouse. I was introduced to this card a few weeks back when one of our users called in asking about a redemption card they had sent our way. The user had mailed the card to us, and we took care of the hassle of scratching and putting the code into the manufacturer’s site. While most use this service because it allows them to sell the card while waiting for the redemption to come in, this user wanted to get the card shipped back to them when it arrived. I remember going into our warehouse and looking for what I expected to be a standard sized card – but the relic in this piece was massive, easily the size of my hand. I’m happy that we were able to assist, if only in a small way, with helping send this card off to a good home. I wanted one last card to round out this display of strange cards, and I thought that there was no better place to turn than to our shipping department. Thousands of cards pass through here over the course of a week, and I was sure to find something surprising. 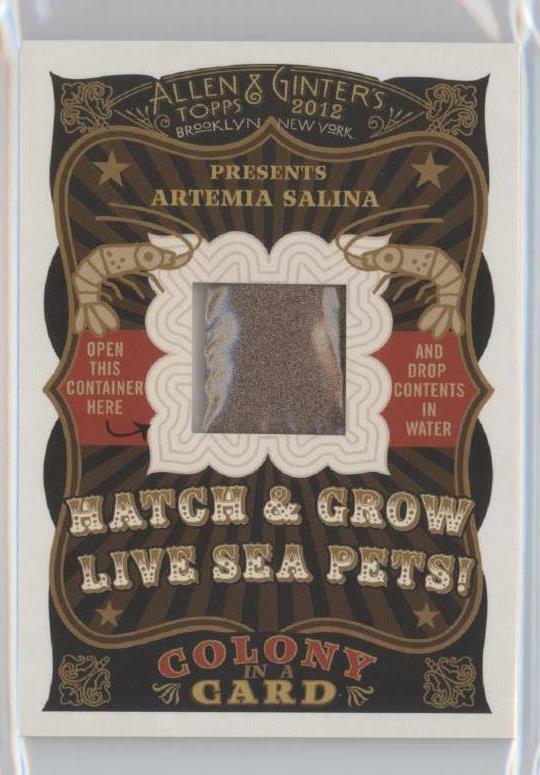 Here I leave you with this truly unusual card, which has as an insert a packet of shrimp eggs, perfect for starting your own sea monkey colony. Stay tuned next week for an extra special edition of COYC! This is great. I would love to see more posts like this. 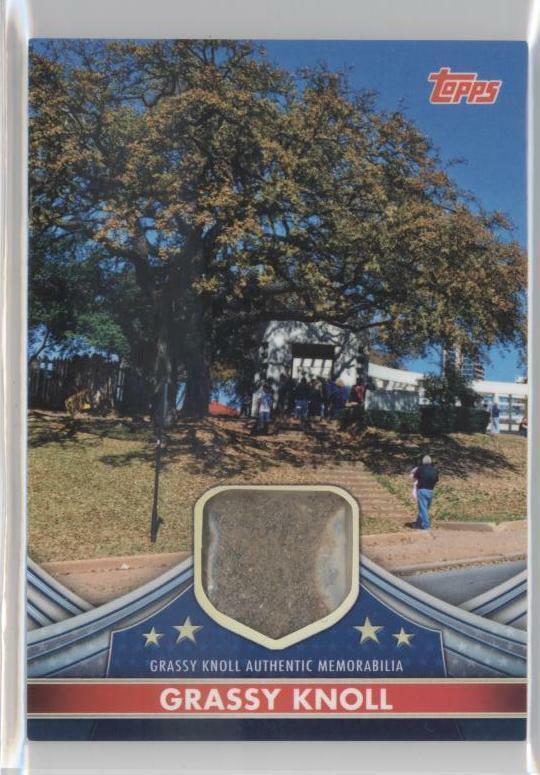 Definitely cool to see the odd memorabilia that is being used in cards. Wow… don’t know which one i like the best!!!!!!! Ummmmmmmmmmm think it’s the GrassyKnoll! Good job Mr. Richards! I think these are truly interesting and those who are historical buffs or fans of the “weird”, these are fun to see and collect!